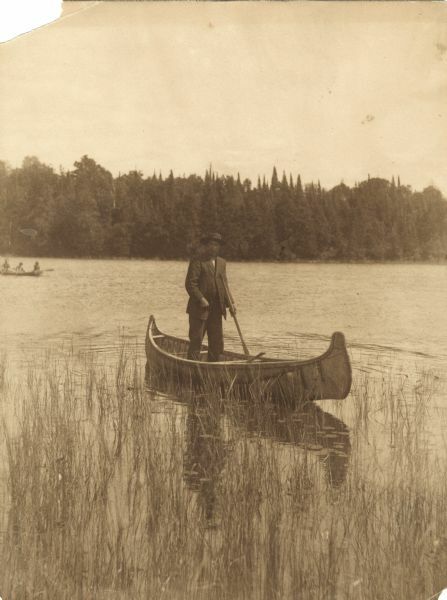 View across water of a Menominee man standing in a canoe in a marsh. He is holding a paddle in his hand. Behind him on the left is another canoe with three people. The far shoreline is lined with trees.